The Dresden Files Continues With All-New, In-Continuity Dog Men Series! Jim Butcher’s The Dresden Files saga continues in this original and in-continuity comic book series, featuring a never-before-told story set immediately following the bestselling novel White Night and graphic novel Down Town! The Dresden Files: Dog Men brings together the comics team of Jim Butcher, co-writer Mark Powers, and artist Diego Galindo. Harry Dresden is a man on the edge – and that is something that can be dangerous to friend and foe alike. He’s been drafted by a senior member of the White Council of Wizards to investigate a series of murders in rural Mississippi. As always, there’s more afoot than is immediately apparent. The question is, will Harry’s state of mind keep him from seeing it, and will his actions lead him into direct conflict with the wizard who’s depending on his help? Jim Butcher’s The Dresden Files: Dog Men #1 will be solicited in Diamond Comic Distributors’ April 2017 Previews catalog, the premier source of merchandise for the comic book specialty market, and slated for release in June. Comic book fans are encouraged to reserve copies with their local comic book retailers. 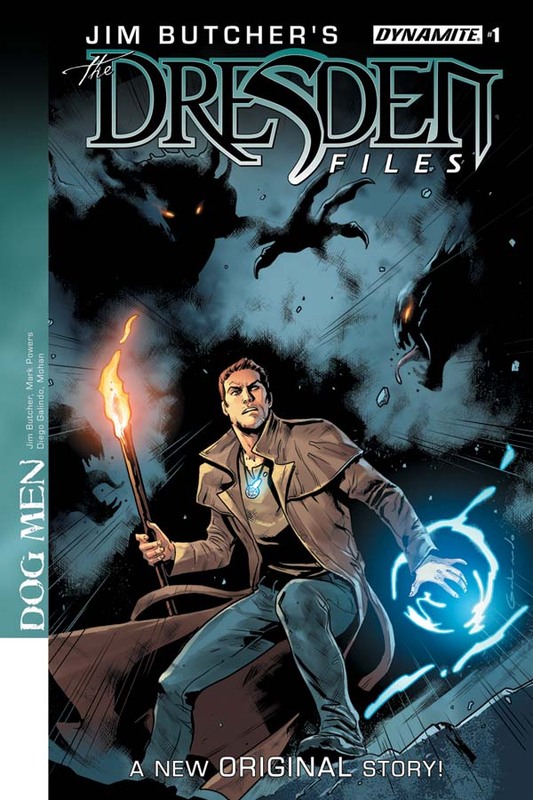 The Dresden Files: Dog Men #1 will also be available for individual customer purchase through digital platforms courtesy of Comixology, Dynamite Digital, iVerse, and Dark Horse Digital.